[19:06] <+FrankLee> Hey, I’m Frank, I’m the maker of Weird Detective. The quick description is that it’s a procedural investigation roleplaying game for cases that involve the weird and supernatural as their ultimate cause. [20:05] <+SteveKenson> Hello, all. I’m Steve Kenson. You know me from such game products as: Mutants & Masterminds, Icons Superpowered Roleplaying, Shadowrun, Earthdawn, Blue Rose, True20, or any number of other books I’ve worked on. [20:05] <+SteveKenson> I write alot about superheroes, as I’m a near life-long comic book geek. [19:05] <+Ken_Spencer> I am Ken Spencer, line developer and lead writer for Cubicle 7’s Rocket Age RPG. [19:05] <+James-M-Spahn> I’m James M. Spahn, contributing author to Rocket Age, The One Ring, and I run my own small press that focuses on OSR games called Barrel Rider Games. [19:07] <+Matt> I’m Matt Haines i wrote Mind Dunes of the Moon and an episode of Trail of the Scorpion for Rocket Age. [19:07] <+Ken_Spencer> Trail of the Scorpion is Rocket Age’s first campaign length series of episodes (adventures for the uninitiated). The six episodes in the series can be played together or as stand alone adventures, and take our heroes from Venus out to the edge of the Solar System. <+JeremyMohler> Hello folks! My name is Jeremy Mohler. 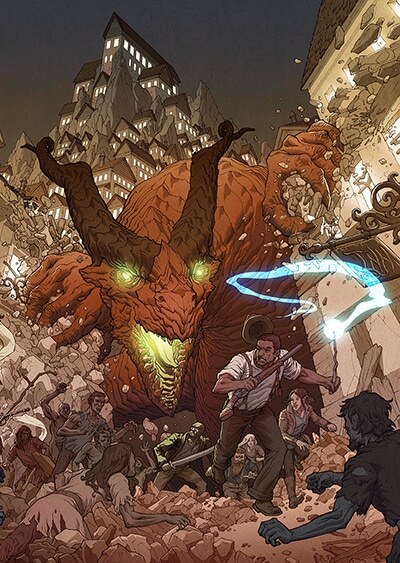 I’m the artist and publisher for the upcoming Shotguns & Sorcery RPG by Matt Forbeck. <+JeremyMohler> It’s a fantasy noir series series set in a city surrounded by zombies and ruled by a dragon emperor. <+JeremyMohler> It’s the first book outside of Monte Cook Games to feature the Cypher System as well. <+MorgaladMcNabb> My name is John McNabb. Writer and creator of Morgalad Fantasy RPG. Morgalad is a D6 based fantasy RPG set in a fantastical Late Iron Age. <+MorgaladMcNabb> The game functions on a simple success/fail system configured with a dice pool mechanic that can be upgraded and customized by the utilization of character points obtained through level progression. <+MorgaladMcNabb> The purpose of this game is to offer an old school style crunchy system with heavy emphasis on role playing without multiple editions and to allow input from the fans to shape the game world and system according to their preferences. <+CynthiaCelesteMiller> I’m Cynthia Celeste Miller, president of Spectrum Games. <+Barak> Hello all, Barak Blackburn, lead designer for Retrostar! 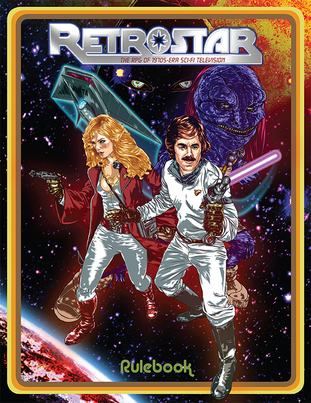 <+CynthiaCelesteMiller> Retrostar is the upcoming RPG that emulates 1970s-era sco-fi TV shows. <+SpectrumG_Norbert> My name is Norbert Franz, been friends with Cynthia for almost 12 years, and I edit and co-write books by Spectrum Games. – Yes, Barak is the lead singer, I mean, lead designer. Just kidding.